The CB500 range gets only minor upgrades for 2016, predominantly in the styling department, but changes to the air flow and exhaust have made the engine more enthusiastic and free revving, which makes the bikes a lot of fun to ride on twisty roads. As well as the styling, exhaust, and air flow changes, both the CBR500R and CB500F come with reworked suspension, which is now preload adjustable, which offers smoother, more progressive travel on the initial stroke. 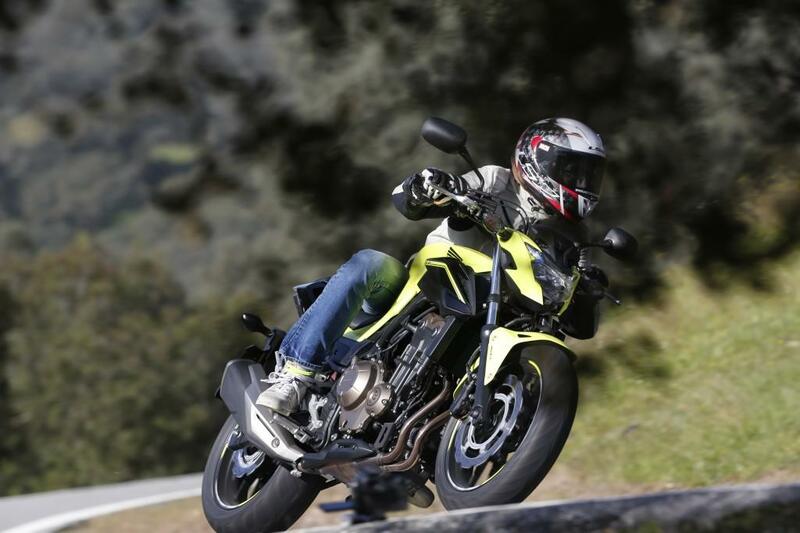 Despite the popularity of sportsbikes in the UK in the past, the naked F variant sold more than the R in 2015, and on the road it feels the better package. In the twisty mountain roads surrounding Seville the 40mm wider bars enabled more input through the bars and it feels much less serious than its sportsbike brother. Both models have reworked and adjustable suspension for 2016 to make it smoother and more progressive on the initial stroke and only the biggest of bumps upset the bikes. The F also weighs 4kg less than the R model, at 190kg, which is noticeable in quick changes of direction. The extra weight of the R does add alittle more stability, especially over bumps at speed and when leant over. The brakes are surprisingly responsive - especially for a bike aimed at new riders - and paired with the new adjustable front lever and ABS they bring the CBs to a stop quickly and neatly. 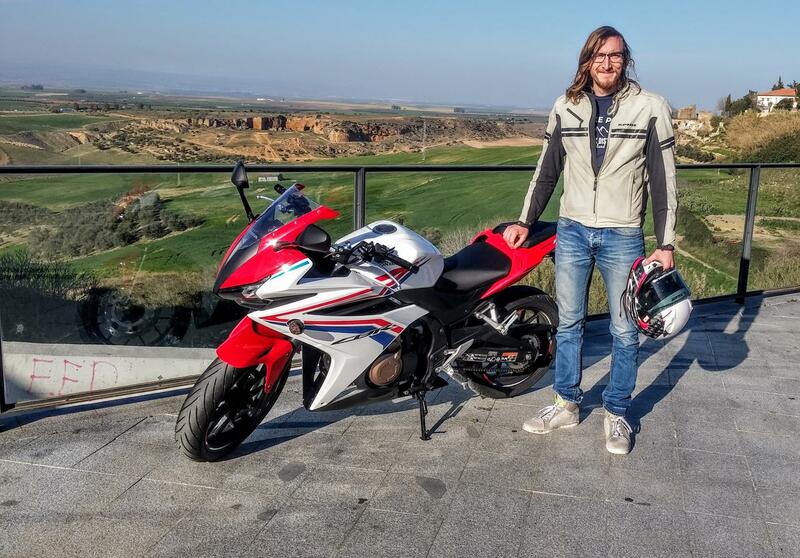 Both the CBR and CB manage to be great beginner bikes, without feeling cheap or under-equipped. Every aspect of the machines comes together to create a bike that is incredibly easy to ride and surprisingly good fun. The CBR500R will cost £5,599, while the CB600F will cost £5,099. Both bikes will be available in the UK in early April - demos will be available in dealerships from March.